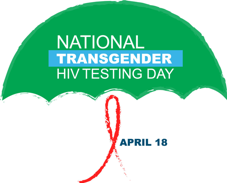 April 18 marks the second annual National Transgender HIV Testing Day (NTHTD), a national initiative to increase HIV screening, prevention, and treatment among transgender people. HIV screening is an important step in HIV prevention and the first step in the HIV Care Continuum, the recommended treatment plan for people living with HIV. As simple as getting tested might seem, transgender people still encounter many barriers to screening. NTHTD aims to facilitate screening and prevention among transgender individuals by actively engaging them in their sexual health and wellness and empowering them to take charge over their health and wellness. Eric Jannke of Palm Springs is developing an educational manual addressing the needs of long-term survivors and others aging with HIV. Bryan Jones of Cleveland is working on all-day training for PLWH to become leaders in their community. Jennifer Chang of Los Angeles is organizing a meet-and-greet and dog-walking event for 50+ survivors of HIV/AIDS. Rob Quinn of Boston will facilitate a Health and Wellness Day for HIV 50+ and Long-Term Survivors on April 21. Michael G. Smith of Santa Fe is working to assist PLWH on disability to return to work and educate about benefits and financial planning. 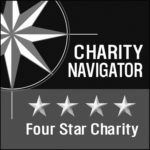 To find out more about the Mini Grant Program and see other grantee projects, please visit our website. Join us for our next Community Spotlight webinar on April 24 at 3:00 PM EST. This month’s focus will be on Youth and HIV and feature voices from NMAC’s Youth Initiative program, which trains future leaders in the fight against the HIV epidemic.